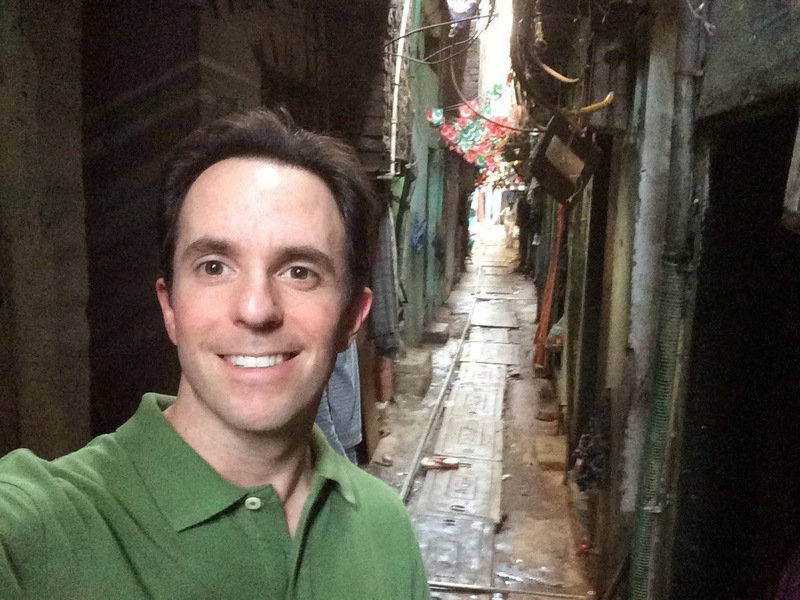 On 1/28/15, the last full day of my two-week stay in Mumbai, I had a profound experience that surpassed the profound experiences I’d already had there. 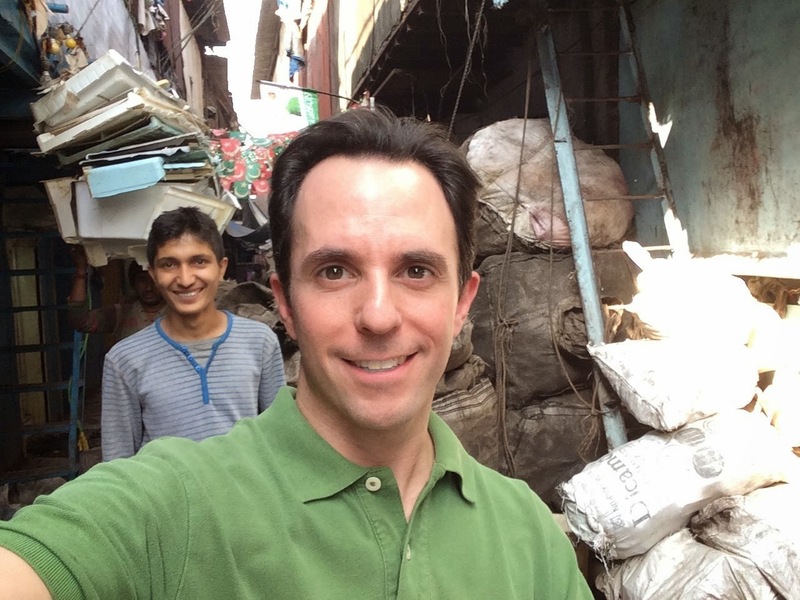 I took a walking tour of Dharavi, currently the third-largest slum in the world and the largest in India. If you’ve seen Slumdog Millionaire, you’ve seen Dharavi. Now I have felt it, too. I admit I was nervous about this. It was just walking—no skill required—but I have been tense about dirt since I was very young, so this would be a considerable bound beyond my comfort zone. Photos are below. But first, some textual texture. 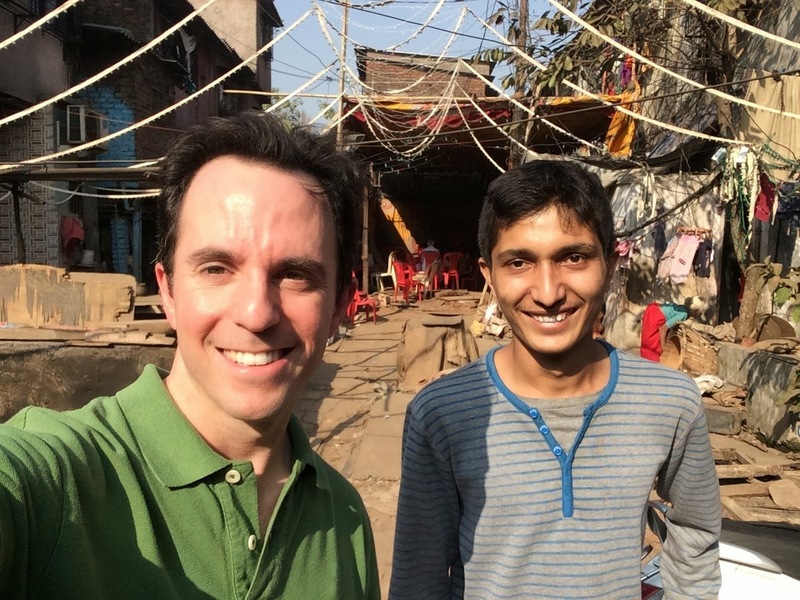 My guide, Nikesh, met me just outside the slum. He grew up and still lives in Dharavi. His intelligence and worldliness were immediately evident. He’s become friends with hundreds of people he’s taken on tours. He was in the process of getting a visa to go on an all-expenses-paid trip to Boston to visit one of them, who had arranged for Nikesh to give a talk on slum living at Boston University. Nikesh said one million people live there. Within it, there are neighborhoods—working and residential districts. To me, it was a dizzying labyrinth of stone, cloth, mud, and trash. He knew every street and path. 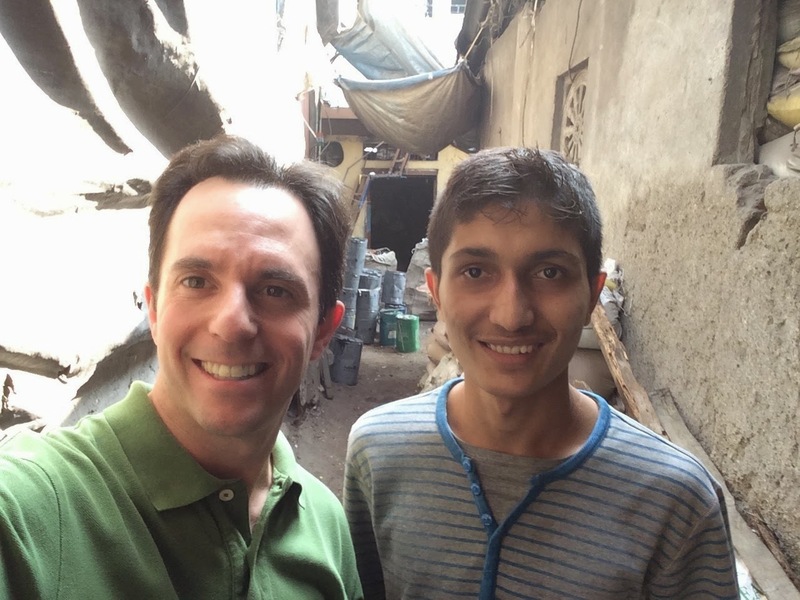 I was quickly struck by how many people in the slum were well-dressed, clean, and friendly. I’d experienced plenty of warm Indians on my trip (and in life), but the perception of slum residents as dirty, downtrodden people is, I was happy to discover, inaccurate. They are so hard-working and some have jobs outside the slum. Many made eye contact and were welcoming though some areas were off-limits to photographs. The residents have access to water for three hours a day—“that’s enough for us,” Nikesh said. They store water in big barrels for use once it’s turned off. They pay for electricity; Nikesh’s bill is about $6 a month. I was told that slum dwellers don’t like Slumdog Millionaire because its depiction of adults disfiguring or maiming kids and forcing them to beg for money on the streets is untrue, as is its depiction of drug use. I was conflicted about touring through people’s lives like they were museum exhibits, but it seems that is not how the residents perceive it. The money from the tours allegedly goes back into the slums. And the slums are big business—generating $650 million a year. Much of this is via impressive manufacturing and recycling operations. Leather production is significant. Since successful (and sometimes posh) brands buy materials from Dharavi, chances are you own something that was produced there. Some slum residents earn a good living and remain in the slum by choice. It is affordable. It is their home and their community. They are proud of what they do and how they live—and they should be. Where we entered the slum and I asked my first embarrassing question. Nikesh and I take our first slummie (slum selfie). they can be returned after sharpening. but at night so it would not disrupt industry. One million inhabitants. One supermarket. This restaurant looked quite fancy. This is one of three schools I saw in the slum. It also appeared in Slumdog Millionaire. The government school in the slum. come from out of the slum. it is the most dangerous job in the slum. Setting up for a wedding. the kids he helps teach as part of his NGO. in the background. No beds. They sleep on mats on the floor. Even though the tour was only two hours, upon leaving, I was physically exhausted. Being in a place I thought I would never get (or never want) to see firsthand and discovering how complex it is was stimulating, overwhelming, humbling. Oh, Nikesh (and his brother) both have yet another new Facebook friend. 4/18/15 addendum: what happened next.